Bastrop’s latest claim to fame, however, is tragic. On September 4, 2011, sparks from damaged power lines, a severe drought, and strong winds from the gulf caused by Tropical Storm Lee caused a severe fire. Two separate fires merged into the largest wildfire the area had ever known. For days, North America’s news networks reported on the situation. Day after day, firefighters tried in vain to gain control and contain the flames. At last, on September 17th, 2011, like a gift from the Gods, a light rain fell from the skies. Firefighters started to gain the upper hand (85% containment), but it was not until October 10th 2011 that the fire was quelled at last. By far, the worst and most destructive wildfire in Texas history, it destroyed 37,000 acres and 1,691 homes; killed 2 people and countless animals; and caused $325 million of insured property damage. History shows that Bastrop had already survived a massive fire, if barely, in 1862. That fire destroyed most of the downtown buildings including the county courthouse. As a result, the current downtown structures of Bastrop all postdate the Civil War; thus, Bastrop is, architecturally speaking, younger than nearby Elgin. Bastrop really does feel like a place out of time and space. If it had not been for the modern cars parked on the narrow streets, you could easily feel transported to a different era. If you can force your mind to switch the mini vans and pick-up trucks for horses and carriages, you will feel like you’ve entered an old postcard or stepped onto a film set. That is likely why so many movies have used Bastrop as a backdrop. If you’re still not charmed, allow me to tell you about Maxine’s on Main Street. This was to be our first dining out experience in Texas. Trusting our lovely hosts completely, we made our way and were not disappointed. Maxine’s is what the bipeds had always imagined eating out in Texas would be like. Plenty of funky, funny signs and vintage posters adorn the walls. There is so much to look at that you actually forget to read the menu as you try just to take it all in. There are even bicycles hanging from the ceiling and when you look towards the partially open kitchen, you’ll notice they cleverly use an old iron headboard as a pot rack. The staff were fun, full of energy, and always smiling. Even during the crazy busy lunch rush, we saw the staff tease the regulars. What made it such a gem for us was the obvious pleasure all the staff (one by one) showed in meeting any new visitors … including the Montecristo Travels Team. With a “How ya’ll doing,” we took our menus and chose our meals. Everything was delicious and prepared perfectly. The portions were, as we had been warned, “Texan Size” (as in Bigger!) but somehow – with my help – Mom and Dad managed to polish off their plates. That is a true indication of how good the food was. The pickle jars being used as glasses to serve the never ending flow of ice tea (or any other beverage other than coffee) made the bipeds laugh out loud. The only regret? Not having room for dessert. Note: If you are going with your pet, you will be charmed by the small tables set-up on the sidewalk patio that welcome you and your canine. Remember to take turns to look inside! To work off some of the calories, we all went for a walking tour of the town. There is no doubt, Bastrop is photogenic. We walked in and out of several shops selling everything from vintage items, souvenirs and chocolate wine to Persian rugs! It seems the town is accustomed to being looked at: vignettes have been created to charm visitors. We made our way towards Ferry Park (connects to June Hill Pape Riverwalk) where we went down a long set of wooden steps that led to a paved path following the banks of the Colorado River. The lovely iron bridge painted in white, the massive elephant ear plants, loblolly pines and lush green grass all came together to create a lovely spot for a stroll. If we lived near there, this is where I would be taking my daily one hour walk for sure! It smelled so good. It is obvious that Bastrop takes great pride in maintaining its special charm. Outside of quaint downtown Bastrop, you’ll find the usual suspects: Starbucks, gas stations and burger joints. And then there is the Coffee Dog. Yep, Bastrop has it’s very own pet friendly café, complete with free Wi-Fi and the amazing smell of its in-house coffee roasterie! The store staff offered us a beer and chatted up a storm. We really did feel like we were in Texas what with being surrounded by cowboy hats and the local drawl. The owner – a tall and incredibly kind and generous man – even took us out front to where a giant cowboy boot beckons those driving past to stop and took a fantastic photo of the Montecristo Team with our hosts. He gave us with some postcards and some iron-on patches for my travel bag! There was that local hospitality! So if ever you are driving from Houston to Austin and you happen to see a sign for Bastrop, stop, Dear Reader. You’ll really enjoy it! 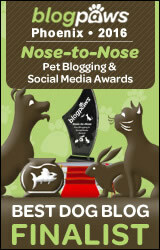 ← Two years of Pet Travel Blogging! Thank You for giving me this Great Tour of Bastrop, Texas!! It is now on my list of places to go!! Oh DO go Heather!! you will have a lovely time! What a wonderful post!! If I didnt know already how awesome Bastrop was it would make me want to visit!! Great Pictures!!! We had such fun with you and Monte and Stefan!! Hoping you all can come again and see more of our great state! Love to all! Thanks for taking the time to show us! We would have never discovered this gem without you and your kind and generous hospitality! MWAH!! Wonderful place! A little piece of calm and romance! One day we would like to visit! Thank you Dear Monte and Co! I hope you do one day! Bring Pepi … he is welcome! Well, you can do what we do – start to create your own little events. We will keep at it – hope to get the media’s attention. One little event at a time! For those wags out there- it’s OK for residents to irreverently refer to their home as “Bra strap”. It’s NOT OK for visitors.